With 2010 mere weeks away, what are real estate agents, negotiators, property investors and developers expecting in the new year? Plenty, according to the organising committee for MAREC 10, the brand name for the Malaysian Annual Real Estate Convention, an annual event organised by the Malaysian Institute of Estate Agents (MIEA). With the theme “The Millionaire Real Estate Agent” for the convention to be held on Jan 23 and 24, the organising committee hopes to prepare real estate industry players to take their business to world-class level. Left to right: David Ong, Abdul Rahim Rahman, Soma Sundram. The service industry is going to be opened to foreign participation gradually from 2011. Many firms are already moving forward to position their brand, services and partnerships with foreigners. A well-known brand assures customers of its reliability, professional services and trustworthiness. This topic will provide a glimpse into the impending liberalisation of the real estate industry. Are you ready? Can you keep up? And what about globalisation and its effects due to the liberalisation policy? Will the industry see significant changes? Which types of estate agents are expected to be market leaders and which are expected to lag behind? Soma Sundram, the speaker for this topic, has represented MIEA in discussions with the Ministry of International Trade and Industry (MITI) and Ministry of Finance on the liberalisation of the real estate sector. He has been actively involved in the real estate industry for nearly 20 years and runs his own firm, Soma Sun Realtors. Sundram is the immediate past president of MIEA. Liberalisation is not only about foreigners coming into the market as competitors, but it is also about branding your business and entering the market in other countries to expand your business globally. This session takes a critical look at how estate agencies in Malaysia can expand globally and create a vast war chest of funds in the process. The topic will discuss how the estate agency business is practised worldwide with critical analysis on current trends. Weaknesses and pitfalls in expanding globally will be highlighted and pointers given to overcome them while taking advantage of current opportunities available. Datuk Abdul Rahim Rahman, the speaker for this topic, is the founder and executive chairman of Rahim & Co, a real estate property consultancy company with a network of 16 offices nationwide and two international offices. He was the first Malaysian to be elected deputy world president for the International Real Estate Federation (FIABCI) in 1990 and has been awarded the FIABCI Medal of Honour. Is money and wealth the “be all and end all” of everything? Is financial success the only reason we work? Are there other things that are more important than money? Will you be entirely happy if your pockets are loaded but your soul is hungry? Money will not able to buy everything in the quest of a complete and wholesome life. This paper will attempt to analyse such questions and identify solutions to help practitioners create a wholesome life for themselves, one where financial success is tempered with the need to pay attention to other aspects of life as well. David Ong, the speaker for this topic, is the founder and president of Reapfield Group of Companies. His vision of employing well trained personnel and providing quality and professional real estate services continue to drive the company forward. Reapfield is the first recipient of the MIEA National award for the Real Estate Agency of the Year 2008 and SUPERBRANDS Malaysia award. Reapfield was recently awarded the SME Brand Excellence Award 2009. For details, contact MIEA. Tel: 03-7960 2577. Fax: 03-7960 3757 E-mail: secretariat@miea.com.my Website:www.miea.com.my. JOHOR BARU: Iskandar Malaysia authorities are optimistic that the special economic corridor will continue to attract both local and foreign investors and remain an attractive investment destination despite negative media reports. An aerial view of the ongoing coastal highway linking Johor Baru City Centre in Nusajaya.Inset:Harun Johari. Nevertheless, outgoing Iskandar Regional Development Authority (Irda) chief executive officer Harun Johari ackowledged that the journey ahead for Iskandar would be long and challenging. Irda is the regulatory authority in Iskandar. “Frankly, it is not a smooth journey but we have to move on as the success of Iskandar is for all Malaysians and not only Johoreans,” he told StarBiz in an interview. It was normal for a major development like Iskandar to attract critics, negative reports or “coffee shop talk,” he said, adding that Irda would be “positive and constructive” about the flak it had received from the media, bloggers and politicians. “People have been watching us (the stakeholders) since day one of Iskandar’s inception and we at Irda have the duty to deliver and prove the critics wrong,” he said. Harun reckoned that perhaps Johoreans were impatient to physically see the projects in Iskandar, adding that 2012 would be the “tipping point” when most of the ongoing projects would be completed. The first phase – comprising the Johor state new administrative centre, Kota Iskandar, as well as Puteri Harbour Waterfront Development in Nusajaya – is already completed and developers will embark on other phases. Among ongoing and soon-to-be-launched projects are the coastal highway linking Johor Baru City Centre to Nusajaya, the Danga Bay Waterfront development, Legoland Theme Park, EduCity, Senai Hi-Tech Park and Malaysian Premium Outlet. Iskandar, which was launched on Nov 4, 2006, was the first in a series of economic corridors in Malaysia. Spanning over 2,217 sq km, Iskandar has five flagship development zones – JB City Centre, Nusajaya, Western Gate Development, Eastern Gate Development and Senai-Skudai. Other stakeholders in Iskandar include the Johor government, Iskandar Investment Bhd, UEM Land Holdings Bhd and Iskandar Waterfront Development Sdn Bhd. The Khazanah Nasional Bhd-appointed Harun joined Irda last October and became the second CEO in February, taking over from Datuk Ikmal Hijaz who left after an equally short stint. Incoming CEO Ismail Ibrahim, currently the director of the National Physical Planning Division, will take over from Harun next month. Ismail was involved in the formulation of Iskandar’s CDP. Iskandar has to date attracted a total RM51bil in investments, with works on projects worth RM17bil, or 35%, already started, creating some 44,000 jobs. “In fact, for this year, we have managed to attract RM9bil new investments exceeding the RM3bil target despite the current economic downturn,” Harun said. 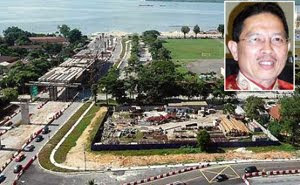 He added that investments came from “all over the place” and not only the Middle East as many would associate Iskandar with, noting that Middle Eastern investors were mainly centred on Nusajaya’s Medini area, which is dedicated to lifestyle and leisure activities and high-end residential living. For 2010, Iskandar stakeholders would be targeting investors from China and India as well as Singapore and Indonesia, according to Harun. He said Iskandar, which is three times the size of Singapore, offered both greenfield and brownfield opportunities for investors and plenty of other choices in between, such as in areas like electronics, petrochemical, health and education. Harun also noted that the Iskandar Malaysia Human Capital Development Blueprint had outlined 65 initiatives to produce a capable and competent workforce over the next 15 years. “Human capital development is one of the key strategies for Iskandar’s success and also to attract the best talents from all over the world without sidelining Malaysians,” he said. MALTON Bhd is set to clinch a RM700 million job to upgrade some parts of the Pusat Bandar Damansara commercial and office complex owned by Johor Corp (JCorp), the flagship investment arm of the Johor state government. Sources told Business Times that under the deal, Malton would upgrade some parts of the 28-year-old complex or demolish some ageing structures for new development. It would then sell back the completed property at higher prices to make a profit. JCorp, through 27.7 per cent-owned Damansara Realty Bhd, owns nine commercial blocks in Pusat Bandar Damansara, Kuala Lumpur. JCorp chief executive officer Tan Sri Muhammad Ali Hashim and Malton deputy chairman Guido Paul Philip Joseph Ravelli did not respond to Business Times' e-mails or phone calls for comments. "Malton will pay RM500 million in cash for the property, while the remaining RM200 million will be paid in kind, meaning that once the property is completed, some of it will be handed back to JCorp in the form of commercial or office space," said a source. The project, which is expected to take five years to complete, will also require Malton to develop a fresh plot of land next to the complex belonging to JCorp. The source said that JCorp, which owns various properties nationwide, is a land and property owner and property development is not its core business. JCorp has diversified businesses, including healthcare, plantation and fast-food, through interests in companies such as KPJ Healthcare Bhd, Kulim (M) Bhd and QSR Brands Bhd. Property developer Malton's experience ranges from building residential houses and condominiums to high-rise office buildings in the Klang Valley. 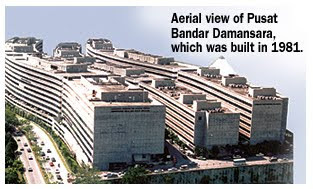 Pusat Bandar Damansara, or Damansara Town Centre, was built in 1981. It houses some ministries and government departments as well as private corporations. In this age of high-tech computer games that require the latest soundcards and faster computers, it is refreshing to go back to games that force one to think rather than just pound away at the keyboard. And I am not talking about chess. 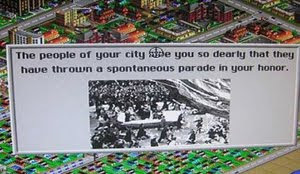 Building city planners should play SimCity to have a better grasp of the issues with regard to city planning. It was in the midst of discussion about local governance issues, like how residents are battling one another over road closures, that SimCity came to my mind. I believe that all city planners should play this game because it teaches us how a good city can be developed. Most people who play this game normally take the easy way by just building and building. What happens at the end is that pollution, crime and a whole range of social issues arise to make you a highly unpopular mayor. A thoughtful planner, on the other hand, knows how to balance development with the needs of the people. He builds parks, libraries and marinas in between the industrial and residential zones. He is careful about building too many roads that lead to traffic congestion. He modifies the tax structures for certain industries and comes up with ordinances that enhance the quality of life for the people. If he is lucky, the people will throw him a “spontaneous parade” in his honour. I have been playing the game for weeks and despite doing what I believe is right, I have yet to get such a parade. My son got his first parade recently and as I analysed his city, I realised that he was not simply giving “goodies” to the people but actually creating a right blend of development that ensured a thriving economy. For sure, my city was aesthetically more pleasing than his, but the city council budget remained low and people were not flocking into my city. Coming back to reality, since March 2008, there has been a change of government in some states that has also had an impact on the way local councils are run. Many new councillors bring a refreshing perspective, but some of them are simply not keyed into the reality of managing the area under their jurisdiction. Thus, an issue over whether an access road should remain open or otherwise has a more complicated scenario than one can imagine. Pleasing one group of residents invariably means displeasing another group, and it does not help when both areas had voted for the same party the last time around. The electoral boundaries no longer count because every sub-group can threaten to withdraw their vote if you don’t see things their way. And in urban constituencies, you can be assured that they know how to make their vote count. All of them may be in one accord with the party on the bigger issues but when it comes to ground issues like traffic jams, billboards or landfills, you can be assured that they will think of their own interests first. I would like to suggest that all the budding councillors play SimCity to have a better grasp of the issues with regard to city planning. There is no need to go on expensive overseas familiarisation tours. Who knows, you may even get a spontaneous parade in your honour. >Deputy executive editor Soo Ewe Jin lives in a city that could take a few lessons from the SimCity councillors and residents associations.